Juliet Nouveau dress pattern by Serendipity Studio. 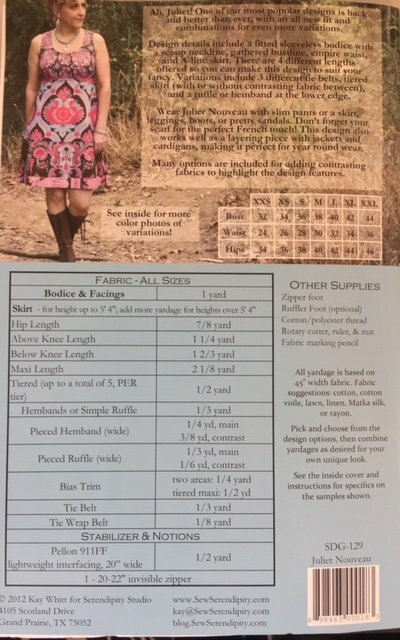 Tissue pattern for sizes XXS-XXL. Complete sewing instructions for tunic dress in 4 lengths with 6 variations.